Pizza is a staple food for parties, especially movie nights. Although there are now many flavours available, most pizzas have retained the following four main ingredients: crust, sauce, cheese and toppings. 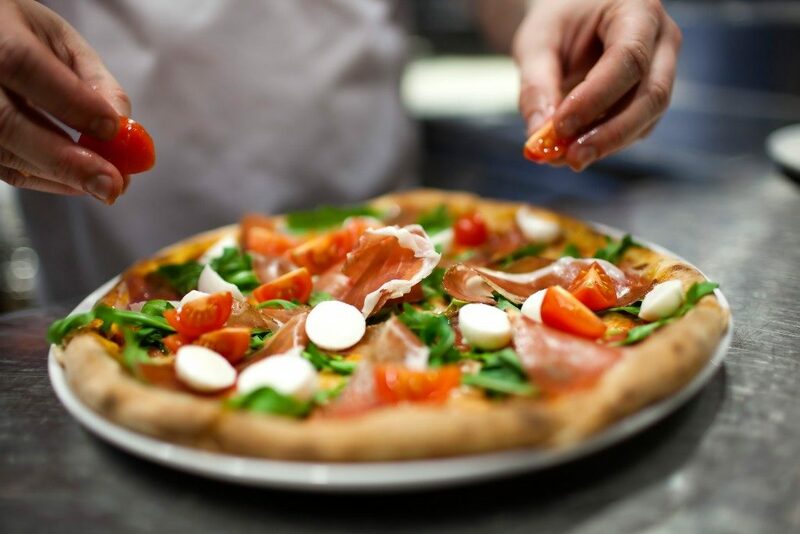 Pizza has indeed dominated the food scene across many countries in the past decades, but it has kept these ingredients along the way. So, before you order pizza online in Singapore, here are a few ingredients that you will find interesting. The pizza crust is made from water, yeast and wheat. These ingredients are kneaded for at least 10 minutes until everything is perfectly mixed. You can choose either a thin-crust dough or a thick-crust dough for your pizza. The process of making the crust involves dissolving sugar and yeast in hot water until the yeast forms a creamy foam. Then, 1 3/4 cup of flour and 1/2 teaspoon of salt are mixed in a large bowl, followed by the yeast mixture, until both dry and wet ingredients come together. Then, the dough is placed on a floured surface and kneaded until it becomes smooth. If it is still sticky, the remaining 1/4 cup of flour is added. Pizza sauce is traditionally made from tomato, although a few spices and herbs can be added for variety. There are now several variations of sauces used today. But all of them are quite fluid when it comes to texture. Bear in mind that watered-down sauce can damage the crust’s consistency. So, choose thicker sauces if you want to make sure the toppings stick to the entire pizza. Cheese is one of the most common toppings found in today’s pizza. There are various types of cheeses used in different pizza recipes. But the most popular ones are feta, parmesan, monterey, mozzarella and cheddar. Although these cheeses are abundant in calcium, protein, zinc and phosphorus, they also contain high amounts of fat. So, people who are on a diet should choose low-fat cheeses or limit their consumption instead. Toppings are where you can go crazy. You can choose whatever topping you want on your pizza. Cheese is the most common bed for almost any toppings since it provides firmness and moisture for the ingredients on top of it. Toppings are commonly divided into various types and regions. A few common garnishes are nuts, vegetables, herbs and spices, and meat. You can even add a few exotic toppings such as fruits, chocolates as well as marshmallows. Meanwhile, a few recipes use seafood such as anchovies, shrimps, salmon and tuna as part of its garnish. You can never go wrong with a pizza, especially when you are entertaining guests at home. Or, even if you are alone at home and just craving a slice. All you need to do is to call for pizza delivery or order a box online to have it delivered right at your doorstep. Just watch out on the slices that you eat. Too much can turn into fat, which will not look good on your belly.